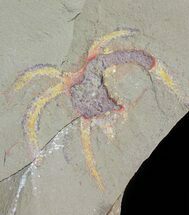 This is a really cool association from the Hunsrück Slate of Germany. 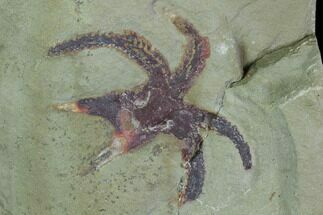 There is a rare Mimitaster hexagonalis (Marrellomorph) associated with a starfish Urasterella verruculosa. They are both pyritized and preserved on a 6.4x5.1" piece of slate. 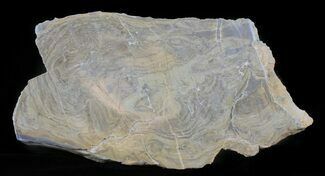 Bundenbach quarries have been closed for some time so the only specimens coming on the market from this location is material from old collections, such as this piece. The lower Devonian (lower Emsian) slates from Bundenback have been quarried for roofing material for centuries. Quarrying continued until the 1960s, when the competition from cheaper synthetic or imported slate resulted in production decline. The last pit closed in 2000. 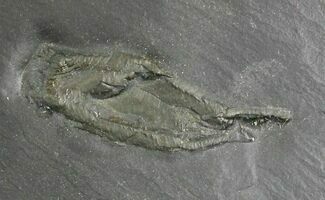 Mining of Hunsrück slate was important for the discovery of Paleozoic fossils. 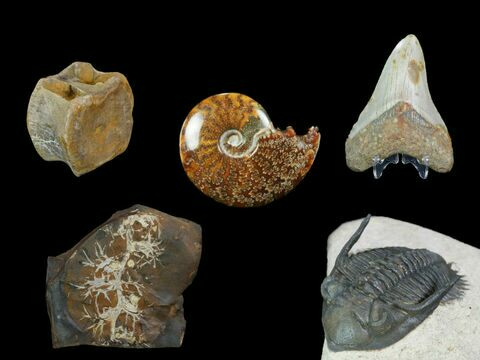 Although not rare, fossils can only be found through extensive mining of slate and time consuming preparation. 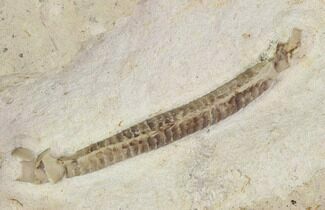 Fossils are hard to see lying under the surface of dark slate. 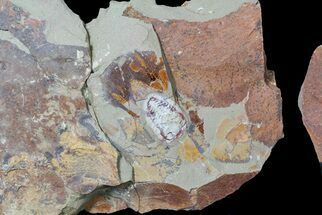 In 1970, Wilhelm Stürmer, a chemical physicist and radiologist developed a new method to examine the Hunsrück slate fossils using medium energy X-rays. 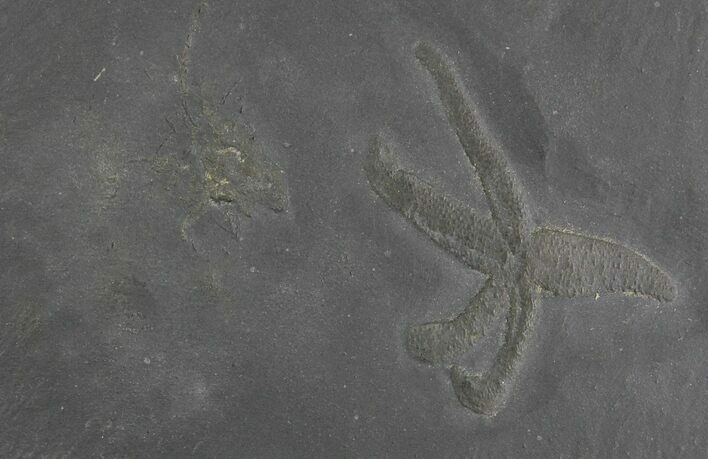 The Bundenbach “Hunsruck Slate is famous for yeilding one of the most important assemblages of Paleozoic fossils, featuring 260 animal species, including many arthropods, corals, mollusks, and echinoderms - like this beutifully presented sea star. Starfish 1.9", Marrellomorph 1.2", Matrix 6.4x5.1"